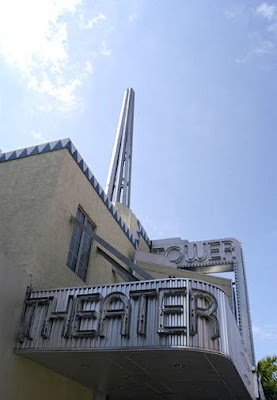 "The 14th Annual Miami Jazz Film Festival is an outreach activity to celebrate those artists that continue to leave an indelible mark in the fabric of our culture. It’s an education on how the uses of archival images and other filmmaking devices impact on the final product. It’s an education on how Jazz is visceral, transcendent, and transnational." 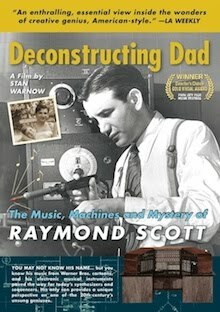 DECONSTRUCTING DAD, the new Raymond Scott documentary, will be featured on Saturday, October 2nd at 5PM, at the historic Tower Theater. "An enthralling film that tells the story of a truly pivotal figure in 20th-century music whose madly eclectic achievements remain largely obscure. An essential view inside the wonders of creative genius, American-style." For a fan of electronic music, hearing this material by innovator Raymond Scott is akin to a comics fan discovering Windsor Mccay’s Little Nemo in Slumberland or Osamu Tezuka’s Phoenix for the first time. The lesson is simple: Don’t overvalue the present. Often the innovations of the past are simply overlooked and under-acknowledged. Listen to or download the new album here. 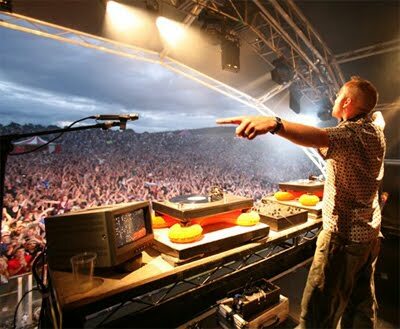 Fatboy Slim is the stage name of Norman Cook, one of the most enduring and successful Pop/Big Beat musicians of the past 20 years. His numerous hits, and collaborations with artists such as David Byrne and Beastie Boys, have earned him the reputation as "the father of mainstream electronic music." 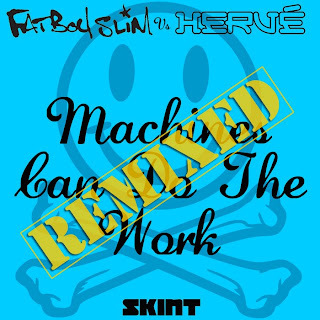 Slim has just released five new tracks that he crafted using sample-loops from Raymond Scott's electronic soundtrack for the 1967 film, "The Paperwork Explosion" (directed by Muppet master Jim Henson). The two new EPs, which are collaborations with UK-based DJ/producer Hervé, are titled "Machines Can Do The Work," and "Machines Can Do The Work: Remixed." Attendance has grown to over 20,000, and media coverage is extensive and global, boasting over 15,000,000 media impressions worldwide. Lifetime and Career Achievement Award honorees include: Dionne Warwick, Carl Reiner, Michael York, Ray Charles, Rita Coolidge, William Shatner, Billy Preston, Etta James, Louis Gossett, Jr., and many others. On Friday, September 17th, the KLIK! Amsterdam Animation Festival will present the Netherlands premiere of the new Raymond Scott documentary, DECONSTRUCTING DAD. Gert-Jan Blom of The Beau Hunks, and Stan Warnow, director of the film and son of Raymond Scott, will be present for an introduction and Q&A, followed by live "cartunes" courtesy Nik Phelps and other animator-musicians. 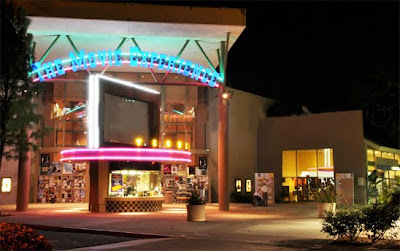 The event takes place at the Kriterion theater at 7:30 pm. 102 Years: Happy Birthday, Raymond! 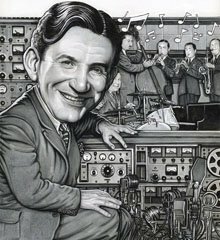 Raymond Scott was born on September 10th of 1908. Today, as we celebrate his 102nd birthday, his fans have a lot to be grateful for (including, for example, the new documentary that is currently making the film festival circuit, and soon to be a DVD release). Though “Huckleberry Duck” is not Exotica in the musical sense, it’s now a “tropical” drink as I made it with rum, a little lime and huckleberries … why not? So here’s to Raymond … Happy Birthday … and thanks! Combine the first three ingredients and shake with ice. Pour contents of shaker into a highball glass. Add huckleberry tea to half full. Garnish with blueberries if you like.